Schreibstein and Tucker is also known for its representative experience. 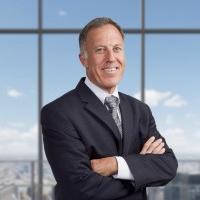 The firm has represented clients of all sizes—from startups to publicly traded firms—in the hospitality, engineering, medicine, biotechnology, health and fitness, and retail automotive industries, as well as accountants and accounting firms, lawyers, physicians, professional atheletes, and other professional clients. Schreibstein and Tucker is extremely proud of its concentration in the hospitality industry, representing hotel owners, operators and developers throughout the Mid-Atlantic region, the Northeast, New York, Florida, Texas, California and Ohio for the past 25 years. Included among its clients is Baywood Hotels, Inc., a professional hotel management and development firm with its home office in Columbia MD. Baywood currently owns and/or operates over 100 hotels.